The REC Foundation’s Documents and Resources Library contains useful materials for Event Partners, volunteers, and teams. Items are sorted alphabetically and can be sorted by program as well by clicking the arrow at the top of the left column. Enter words contained in a resource’s title or description in the search box to find items. Description: A list of important things to know before beginning the robot build process and taking part in VRC events. Description: Use this form to order award banners. Description: Overview of expectations for participants’ behavior and ethical standards at all REC Foundation-sanctioned events. Description: Instructions for the set up and operation of the VEX ARM Cortex-based Microcontroller and VEXnet Joystick. Description: This document explains the Early-bird Registration period, which is from when registration for an event opens, until four weeks prior to the event. Description: Table of scripts Emcees use to fill the down time between matches with information that is of interest to the audience that will support the event and provide helpful information about REC Foundation and VEX programs. Description: Checklist designed to supplement the Pre-Event Checklist. Description: Outline of the process for setting up an event on RobotEvents.com. 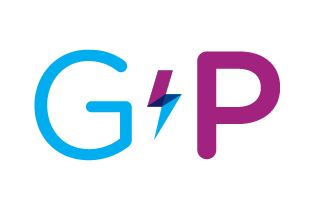 Description: Information about buying, setting up, maintaining, and using Raspberry Pis on the day of an event. Description: How to access our mobile application containing all event documentation. Note: Official VEX Robotics assets can be found at this link. Please remember to abide by the brand guidelines and restrictions found in the official VEX Robotics style guide when creating and uploading custom event logos. Note: For more REC Foundation logos click here. Official VEX Robotics assets can be found at this link. Please remember to abide by the brand guidelines and restrictions found in the official VEX Robotics style guide when creating and uploading custom event logos. Description: Five steps needed to volunteer at local events. Description: This document has been created to help new teams get started with the VEX IQ Challenge. Description: This document has been created to help new teams get started with the VEX Robotics Competition. Description: DonorsChoose.org is an online charity on a mission to make it easy for anyone to help a classroom in need of VEX Robotics equipment by allowing people to donate directly to classrooms. This document is designed to help make the process as quick and easy as possible. 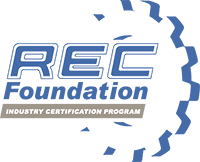 Description: An overview of the REC Foundation's Industry Certifications Program. Description: Guideline for usage of International Robotics Honor Society (IRHS) digital resources. Description: A six-step process to develop a charter for the International Robotics Honor Society chapter. Description: The application to the International Robotics Honor Society (IRHS). Description: A brief overview of the Judge's role. Description: This document outlines the Pre-Engineering and Robotics Industry Certifications. Description: Everything you need to know in order to start and run a VEX IQ Challenge or VRC league. Description: Spanish version of the participant consent, release of rights, hold harmless, and authorization agreement form to be filled out prior to events. Description: Participant consent, release of rights, hold harmless and authorization agreement form to be filled out prior to events. Description: A brief overview of the Practice Field Official's role. Description: Checklist for planning and coordinating a successful VEX Robotics Competition and/or VEX IQ Challenge event. Description: This document provides the current pricing for REC Foundation Industry Certifications as well as a three step ordering process. Description: Concise Professional Development Guide to assist STEM Educators who utilize VEX equipment (both VEX IQ and/or VEX EDR) in meeting local or state professional development needs and requirements. Description: Instructions for conducting PTC Verification Testing using a PTC authenticator. Description: The REC Foundation Annual Report is designed to provide an overview of the VEX IQ Challenge, VRC< VEX U, REC Foundation financial highlights, Board of Directors, and sponsors. Description: The Robotics Education & Competition Foundation brand communicates excellence and serves as the first impression with any audience, either in person or online. These guidelines are intended to promote the clear and consistent use of the Robotics Education & Competition Foundation’s identity as a global and interdisciplinary team who work together toward a common mission. For more information about the Robotics Education & Competition Foundation brand or these guidelines, please contact the Marketing team at marketing@roboticseducation.org. For REC Foundation logos click here. Description: Overview of the REC Foundation's programs and competitions - Elementary through college! Description: Signature Events offer students a unique opportunity to connect with their peers from around the world, share their enjoyment of robotics, explore new venues, and compete to qualify for the VEX Robotics World Championship. Description: Participants interested in a regional partnership bringing VEX IQ Challenge and/or VEX Robotics Competition programs to their organization should download and review this Request for Proposal for a VEX Regional Grant. Description: Eight International REC Foundation Robot Drivers License cards per page (approximately 2 x 3.25 inches). Click here for PDF form version designed to allow student's names to be typed on the licenses before printing. Description: How to become an REC Foundation scholarship provider and help establish a robust scholarship program that will encourage students to continue their education. Description: Use this form to apply to have your organization's scholarship added to our program. Description: A brief overview of the Skills Referee's role. Description: How to inspect VRC robot software using VEXnet on the Cortex Processor. Description: Overview of this season's STEM Research Project. Description: This presentation helps prepare Judges who are evaluating VEX IQ Challenge teams for the STEM Research Project. Description: These instructions guide new and existing organizations through the VEX IQ Challenge, VRC, and VEX U team registration process. Description: Instructions for filling in the Volunteer Tab on RobotEvents.com. Description: Tips to help teams before, during, and after events. Description: Instructions for the VEX TM Mobile Android app that interfaces with the VEX Tournament Manager software. Description: Brief overview of the process for creating and running league events in Tournament Manager. Description: Custom software package designed to simplify and automate many of the tasks associated with running a VEX Robotics tournament. Description: User Guide for Tournament Manager (TM) software. Description: Inspection checklist covering size inspection, overall inspection, VEX parts, and field control. Description: Details the full list of awards presented in the VEX IQ Challenge Program. Description: Template for a Community Service Certificates recognizing volunteer service. Description: Instructions for Referee and/or Event Partner conducting meeting with teams to share helpful event and venue details prior to match play. Description: Overview of the Event Partner role. Description: A brief overview of the VEX IQ Challenge Field Reset volunteer role. Description: A brief overview of the VEX IQ Challenge Inspector volunteer role. Description: Detailed description of the Judge's role for for Event Partners, Judge Advisors, and Judges. Description: Template for creating a press release for your upcoming event. Description: Assembly instructions for the Official Competition Field. Description: Compressed folder includes VEX IQ Challenge Next Level Field CAD (STEP) file. Description: Official Game Manual of the current VEX IQ Challenge game (Spanish Translation). Description: Update prior to VEX worlds of the Official Game Manual of the current VEX IQ Challenge game. Description: Supplement of the VEX IQ Challenge Next Level Game Manual. Description: Single-page overview of the current VEX IQ Challenge game. Description: Criteria for registered VEX IQ Challenge teams (Elementary and Middle School) to qualify for participation in championship events. Click here to learn about VEX Worlds 2019 Additional VEX IQ Challenge Spots. Description: A brief overview of the Queuing volunteer role. Description: This guide contains a volunteer description for the Referee position, task list for the various stages of a competition, a general tip sheet, and a list of selected rule discussion points. Description: Score Sheet for VEX IQ Challenge Next Level. Description: Link to VEX IQ Challenge Referee Training videos. Click here to take the Referee Training Videos Quiz. Description: Inspection checklist covering size, overall, VEX parts, field control, and PTC verification testing. Description: Template for robots that require license plates to pass robot inspection at an event. Description: A few of the safety practices participants and guests should follow. Description: Examples of how to best utilize available space and resources to support an exciting VEX IQ Challenge event. Description: A brief overview of the Referee Scorekeeper volunteer role. Description: A brief overview of the Team Check-in volunteer role. Description: A brief overview of the Volunteer Check-in volunteer role. Description: Guide includes Volunteer job descriptions and direction on volunteer recruitment, volunteer expectations, training and preparation, care and appreciation. Includes a recommended volunteer staffing plan. Description: A brief overview of the VEX TM Operator volunteer role. Description: Step by step process for configuring wireless support on the Raspberry Pi Tournament Manager image (beta). Description: This appendix details changes and additions specific to VEX U. Refer to the VRC Game Manual for full game rules and descriptions. Description: Details the full list of awards presented in the VEX U program. Description: Criteria for registered VEX U teams to qualify for participation in championship events. Click here to learn more about VEX Worlds 2019 Additional VEX U Spots. Description: List of VEX U events where teams can qualify for participation in the VEX Robotics World Championship. Description: Suggested step-by-step process to build a competitive VEX U robot. Note: This document helps VEX U teams ask a VRC Event Partner to play in the Robot Skills Challenge of a (non-VEX U) VRC tournament or Skills-only event. Description: Template for creating a volunteer flyer for a VEX U event. Description: Directions for downloading photography from the VEX Robotics World Championship Photoshelter website. Please note that since this agenda is tentative, times may vary from 15-30 minutes. Description: Gould's Discount Medical Scooters will be available for rent at VEX Worlds. Description: Schedule for the free shuttle bus loop that will run between the Kentucky Exposition Center and many area hotels during VEX Worlds. Description: Answers to commonly asked questions and additional information about VEX Worlds. Description: Volunteering at VEX Worlds is easy to learn, fun to do, and rewarding for everyone involved. Description: Use this form to provide up to three mobile telephone numbers to receive match alerts for your team. Description: Overview of VEX TEXT, a feature that allows teams to be alerted about upcoming matches using SMS text messages delivered directly to team members' phones. Description: Volunteering at a VEX competition is easy to learn, fun to do, and rewarding for everyone involved. Description: Use this template to create a flyer that spreads the word that Volunteering at your VEX competitions is easy to learn, fun to do, and rewarding for everyone involved. Description: A table describing volunteer roles including each role's physical activity, experience level, skills needed, and preferred shift duration. Description: An overview of the Emcee volunteer role with scripts and examples. Description: Instructions for Head Referee and/or Field Manager conducting meeting with teams prior to match play. Description: What to do at an event when things go wrong. Description: A brief overview of the Field Reset volunteer role. Description: A detailed overview of the VRC Inspector volunteer role. Description: A brief overview of the VRC Inspector's role. Description: Criteria for registered VRC teams (middle school and high school) to qualify for participation in championship events. 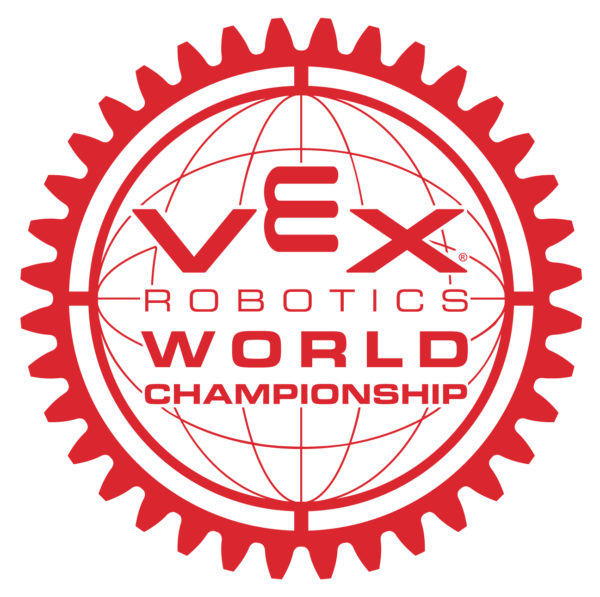 Click here to learn about VEX Worlds 2019 Additional VRC Spots. Description: Score Sheet for VRC Turning Point. Description: Link to all VRC Referee Training videos. Click here to take the Referee Training Videos Quiz. Description: Suggested steps to build a competitive VEX Robotics Competition Robot. Description: Flowcharts that help resolve issues teams may encounter with the robot. Description: Tournament layouts for events with one, two, or three fields. Includes layouts for events with Skills and/or tablets. Description: Compressed folder includes VRC Turning Point Field CAD (STEP) file. Description: Includes Field Specs & Assembly and Low Cost Field Options documents. Description: Details the full list of awards presented in the VRC Program. Description: Game manual of the current VRC challenge (Spanish Translation). Description: Update prior to VEX worlds of the Official Game Manual of the current VRC game. Description: Single-page overview of the current VRC game. Description: Instructions for downloading ROBOTC, ModKit, or VEX coding Studio software. Description: Brief overview of some of the benefits of the VEX U program.